Every week we track the business, tech and investment trends in CPG, retail, restaurants, agriculture, cooking and health, so you don’t have to. In last week’s top news, Ben Epstein, founder and partner of hardware venture fund Bolt, wrote the best analysis of Juicero we’ve read. He literally took apart Juicero’s hardware and broke down where the startup may have misdirected spending and energy. 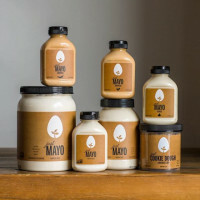 In other CPG news, after discovering that a Dollar Tree shopper registered their darling vegan brand Just as a generic budget brand, Hampton Creek has hired a designer to lead a multiyear redevelopment of the Just label, starting with the packaging. And as the demand for local food continues to increase, supermarkets are struggling to keep up. Bolt General Partner Ben Einstein breaks down where Juicero went wrong in building its unnecessarily complex machinery and supply chain. He argues that the company wasted tens of millions of dollars on product development prior to shipping a single unit, a cautionary tale for any hardware startup. 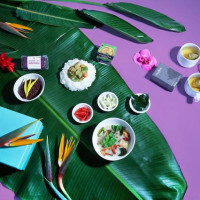 In order to better attract customers at lower-cost retailers such as Walmart, Hampton Creek has hired a designer to lead a multiyear redevelopment of its Just brand, starting with the packaging. Consumer demand for locally grown food has surged at supermarkets, but small farms require further investment to meet demands of grocers and breaking down distribution systems has proven difficult for supermarkets. If nutrition labels were designed to visualize ingredient proportions, it would likely be easier to avoid sugary foods. An ad campaign from a German consumer interest group shows how much sugar is used in foods like Nutella. Studies show that two-thirds of millennials surveyed prefer snacks with fewer ingredients and 79 percent will choose snacks with ingredients they recognize. Neuroscientists have found specific types of gut flora help a host animal detect which nutrients are missing in food and then assess how much of those nutrients the host really need to eat. Two years ago, Grubhub’s stock was in free fall, as investors who feared disruption from the many food-delivery startups fled. Today, Grubuhub’s stock is outperforming expectations and its number of active diners increased 26 percent in the last year. Apeel Sciences’ edible packaging, which is made from uneaten plant material that can be applied to the outside of produce, can double to quadruple the shelf life of produce. 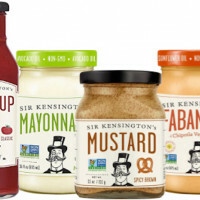 Instead of promoting packaged goods from brands like Kraft Heinz Co. and Kellogg, supermarkets are giving better play to fresh food, prepared hot meals, and items from local upstarts.